Bicycle Frame Building Courses – Are they worthwile for the budding framebuilder? 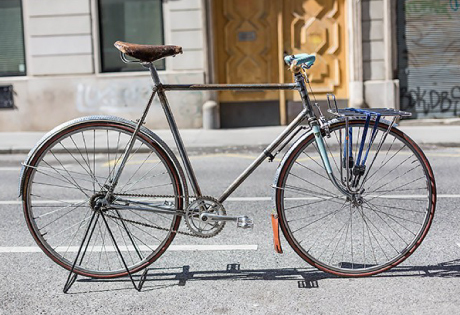 It is true that you could spend the same amount of money on buying all the equipment and tubing and other paraphernalia required to build your own bicycle frame. It is also true that it is possible to teach yourself to build a frame. There are a lot of misconceptions surrounding framebuilding, such as the need for a lot of very expensive jigs and tools. Framebuilding is a craft which at Ellis-Briggs has been practiced and passed down for over 80 years and thousands frames. Some of the techniques we use developed early on, some much later, however we have a process which will build a straight, well finished frame suited for its purpose. You may look at 2 lugged frames next to each other and think they look pretty similar, however workmanship can differ wildly from framebuilder to framebuilder. At the end of our course you will be able to tell the difference between the absolute best frames and the downright mediocre, as well as everything in between. In fact it may change your opinion on many high regarded frame manufacturers out there. Armed with that knowledge you can then choose what level you want to build your own frames to. So by choosing our frame building course you will learn how to overcome all the common issues which arise in building a solid frame, without making lots of costly mistakes that arise through trial and error. The tuition and advice will pay for itself time and time again if choose framebuilding as a career, so having a well made frame at the end of the course will be a bonus! If your looking to become a framebuilder, we advise our 10 day advanced course, which is spread over 2 weeks. On our advanced course we will more time to go over the fundamentals of frame building in more depth and explore some more advanced techniques, such as customising lugs to your own design. If you choose our 5 day course you will most likely need more help in order to get the frame finished inside the 5 days, but it will give you a taster of all the processes involved. Find out more about the courses we offer and the dates available, by clicking the link below.